Welcome to patch 8.7, the one where we nerf Irelia. Sorry, I'm being told that's update Irelia. Everyone's favorite Blade Dancer is hitting the Rift with a new model and kit. We're also following up on the Duskblade changes from last patch, visiting the assassins who were affected more—or less—than we'd expected. Finally, we're hitting Ninja Tabi. Those boots had taken over as the dominant choice, and while that makes sense on tanks, it's a bit concerning when they're such a compelling purchase for marksmen as well. Q damage ratio decreased. Base attack damage decreased. Base armor decreased. There's honestly not much to say here. 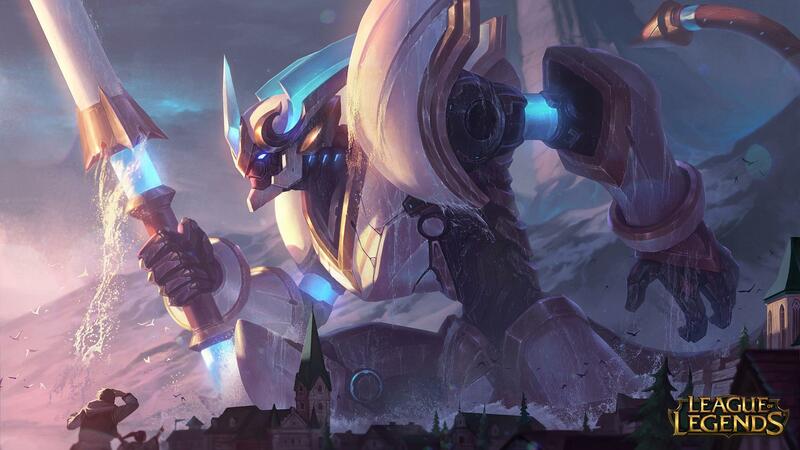 We always expect there to be a learning curve on new or reworked champions, and we try to make sure they release at a playable state of balance. In this case, we overshot pretty hard, and Irelia's just far too strong. Irelia and her skins have all received updated splash art, available on League Displays! Q ability power ratio increased. W ability power ratio increased. W damage reduction scales with ability power. W damage reduction duration decreased. Like with Galio, we think it's cool when Gragas is able to feel good about building ability power when he gets ahead. He could use some more strength anyway right now, so we're giving him a bit more room to build aggressively. A melee champion who likes to build semi-squishy needs more durability in his kit if he's going to cut it in a sustained teamfight. More healing from W should help Hecarim turn his trot into a gallop some games. This is a pretty significant power increase for Karthus, but he could use it. He currently gets pushed around in lane, so we're looking to put some strength into his trading. Passive gains more points early, fewer points later. Kayn's passive—specifically the way it ramps up over time—means that a lot of Kayn's early actions feel less impactful than they should. First, the low number of points he gets early on makes early ganking and fighting a lot less worthwhile than it should be. Second, the high number of points he gets later on means that his later fights matter so much that they too easily outweigh the earlier ones. We're moving around some of that point accrual so that his actions in the early game matter more. Attack damage growth increased. E ratio increased. R cooldown decreased. Malphite is definitely a sedimentary rock champion: He has layers. Some players build him tanky, others build ability power, and some even build Trinity Force. At the moment he's underperforming, and we're looking to give him power that suits all of his builds. R initial movement speed buff decreased. As players have started to pick up Predator it's become clear that, in tandem with its active, his R is too consistent an engagement tool. Base attack damage increased. Rengar's Q no longer causes him to sometimes cancel his actions. We've been tweaking Rengar since the revert of his Q (and the changes to Duskblade). He's almost there, but he still needs a bit more power in his early game. Q damage increased at early ranks; damage to minions adjusted to be roughly unchanged. Rumble could use more trading strength, but we don't want to give him too much waveclear in return. Health growth decreased. E stun duration decreased at later ranks. Sejuani is supposed to be the tank who excels in skirmishes and is slightly less strong in longer teamfights, but her high crowd control and durability makes her pretty solid at the latter as well. Q cooldown increased at early ranks. Q base damage decreased. Oops. Swain has finally hit the "too strong" point, so it's time to reduce some of his baseline power. Q damage falloff to units beyond first decreased. The Duskblade update hit Zed harder than expected, so we're giving back some of the strength we took away last patch. Guinsoo's Rageblade is pretty overtuned for its price after the update, so we're re-upping the gold cost to make sure it hits the game at a more appropriate time. Shield base and per-level scaling decreased; bonus health ratio increased early, decreased late. Shield cooldown increased; shield stacking penalties are harsher. Locket is really strong right now, crowding out other options for support or jungle tanks, so we're toning down the strength of the shield significantly. Armor decreased. Basic attack damage reduction increased. Ninja Tabi have become a ubiquitous purchase recently. 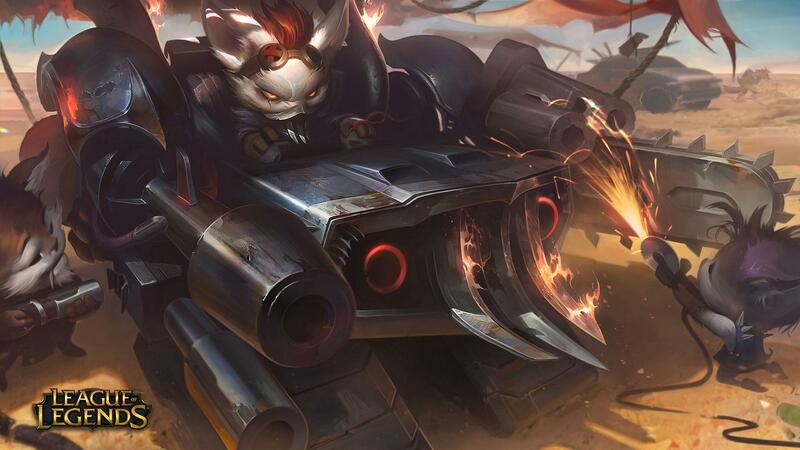 It's fine when tanks pick up Ninja Tabi—after all, their core job is to tank damage—but when marksmen are buying them, it's probably a bit much. We want Ninja Tabi to remain a core purchase for tanks who need to be able to take punishment from marksmen and other basic-attackers, but less for marksmen who just want some armor to survive against assassins. Large champions no longer become bigger than their item auras. Some champions got so big that they covered the whole space of their auras, rendering them pretty pointless to purchase. For those champions, the auras now increase in size alongside the champions. You'll notice that Frozen Heart isn't in here; no champion ever got big enough to invalidate that aura. Relic Shield is still slightly overperforming compared to the other support items. Path bonus grants lower health early; more late. The early burst of tankiness Resolve gives is a bit much early durability. We're taking some of its early game power out and shifting it to late game. Hitting enemy champions with spells grants maximum mana, up to 10 times. Once max stacks have been reached, Manaflow Band restores missing mana every 5 seconds. Manaflow Band has quietly been one of the strongest runes—on the champions who use it best. To make it more accessible, we're tying its variance to game skill and landing spells, not the cost of those spells. Enemy takedowns restore 20% of your maximum mana and refund 10% of your ultimate's cooldown. Presence of Mind is extremely valuable on some champions and barely noticeable on others. Specifically, champions with long cooldowns can't benefit from its current effect, so we're moving it back to a more generic power that is consistent across all champions. We're looking to up the damage this brings against full-durability champions. Zombie Ward's double vision whammy, providing vision when you've just taken it away, is too good when its users get ahead. Currently being outperformed by other competing runes. BUGFIX Now lists how much it gives in the description at level 1. Melee minions and cannons worth more gold. Caster minions worth less gold. Cannons are natural focal points for the game: little mini-objectives to fight over. We're making them worth a bit more gold—and a bit harder to kill—to up the ante. Keeping super minion gold equal to siege minions. The amount of damage red buff adds to a jungler's ability to push a tower after a successful gank is pretty high, and that can make the difference between a tower killed and a tower at half health. There's not much gameplay around this distinction; it was just sometimes escalating how quickly towers fell, so we're removing it. With voice chat out in the wild, we’re doing some quality of life buffs based on your feedback. And no, not your mic feedback. The fixes are: Better audio notifications when players join your party or unmute themselves, decoupled voice controls from the scoreboard, and an auto-mute when you are afk. Mute after 10 If you’re away from the client, (that’s 10 minutes without touching anything), your mic will auto-mute. Your mic sparks back up once you’re back. Classic, Spellthief, Sorceress, Commando, and Imperial Lux skins once again have their shiny staff VFX! 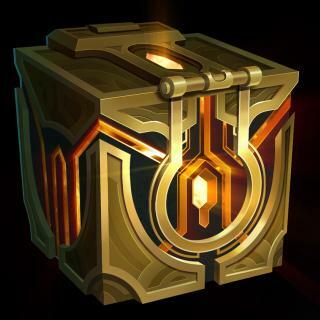 New "cosmetics only" chests (225 RP each, 1125 RP for a bundle of 5 (plus bonus essence), or 2250 RP for a bundle of 10 (plus bonus essence) will be made available in the store.